A shiny gold caramel colour - a nose of almond and plum enhanced by a slight cane sugar scent - in the mouth it is full, heady and has a hint of plum flavour - strong and powerful finish, spicy and long lasting aromas. One of the finest armagnac ever tasted. Bottled very nicely and ofcourse the taste is beyond comparisons. In and out I had been searching for something which tastes superb and at the same time also availabe in India. 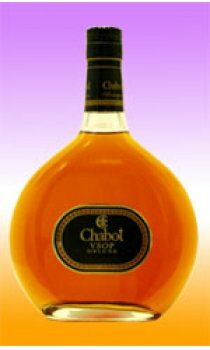 Now as I had found it, whenever I will host a party Chabot is going to be present always. Another good addition to my personal bar. The taste the fineness and of course the aroma .... If you have not tasted it ...try it once and it is going to become a drink you will like forever.